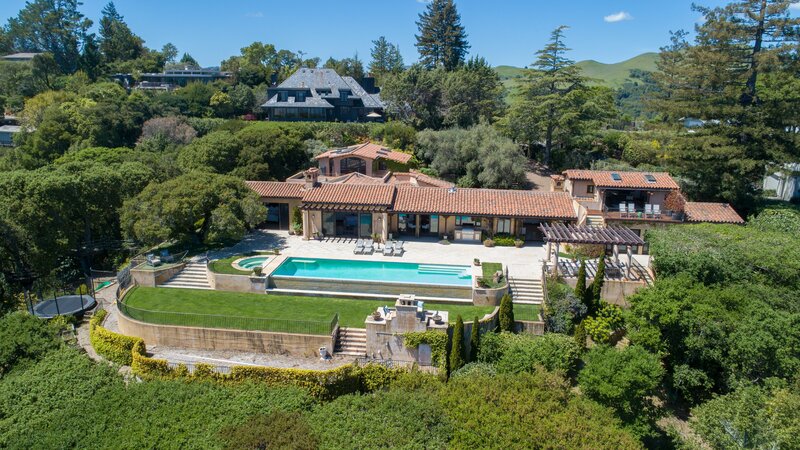 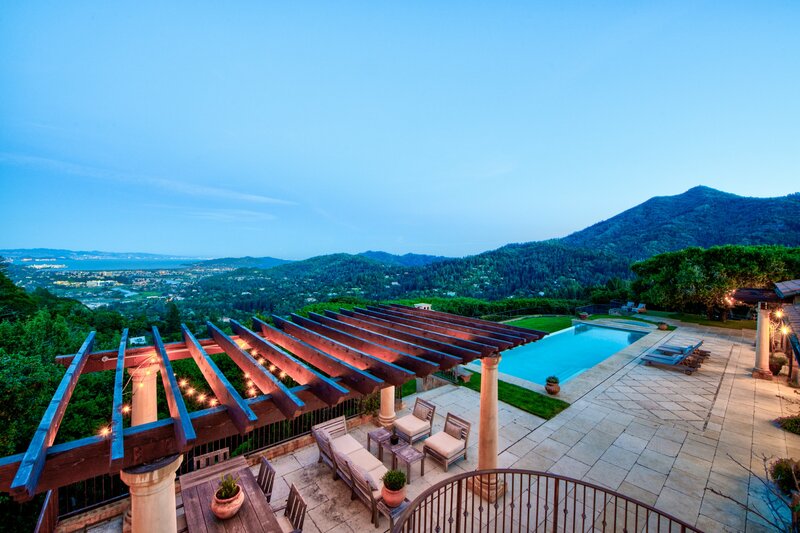 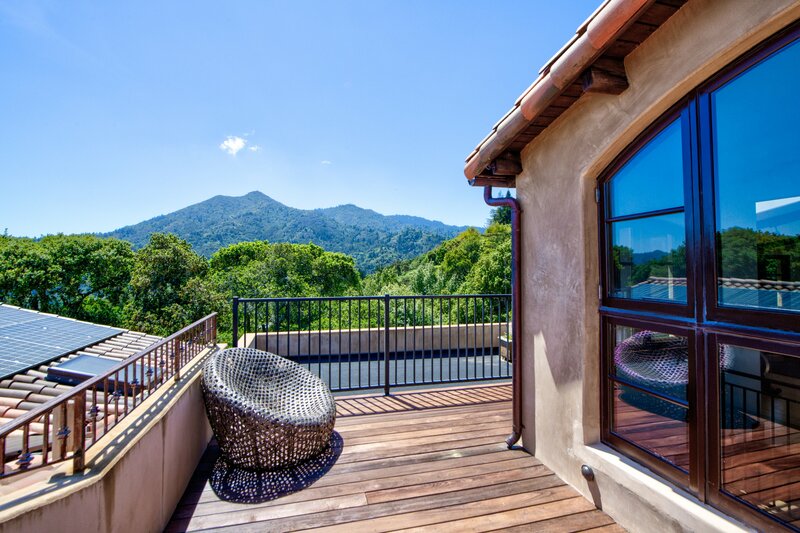 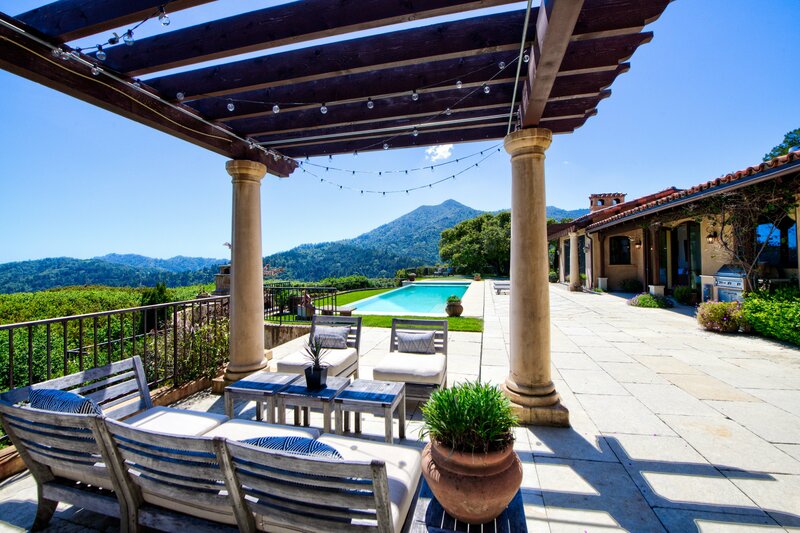 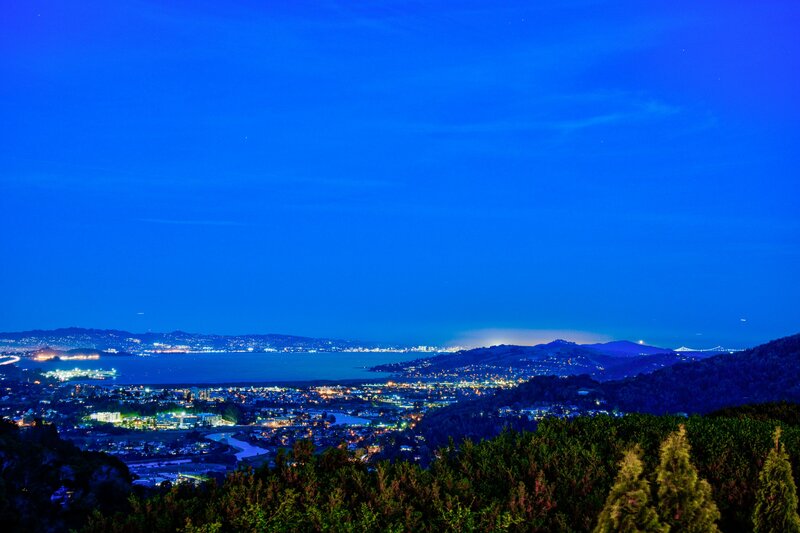 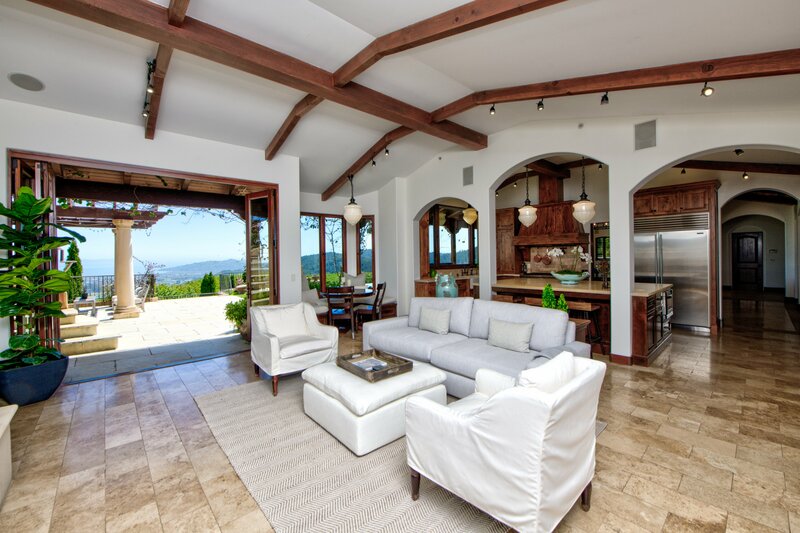 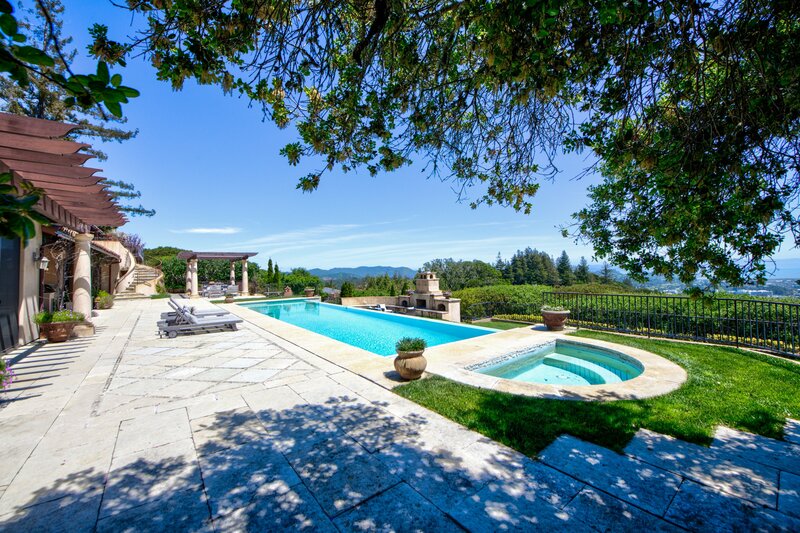 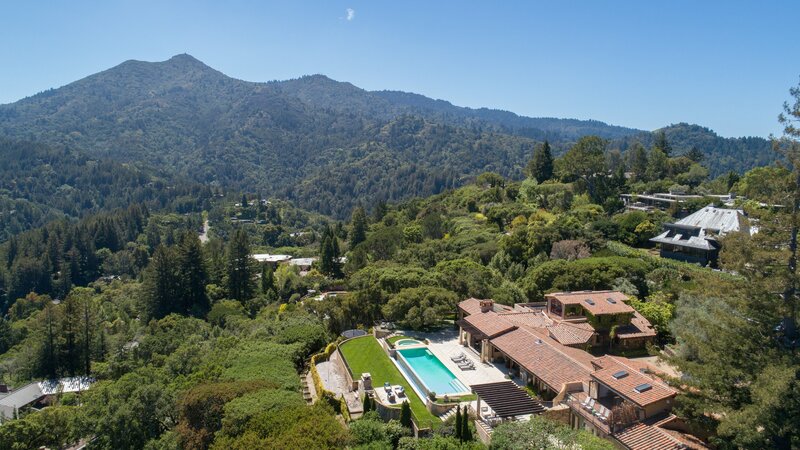 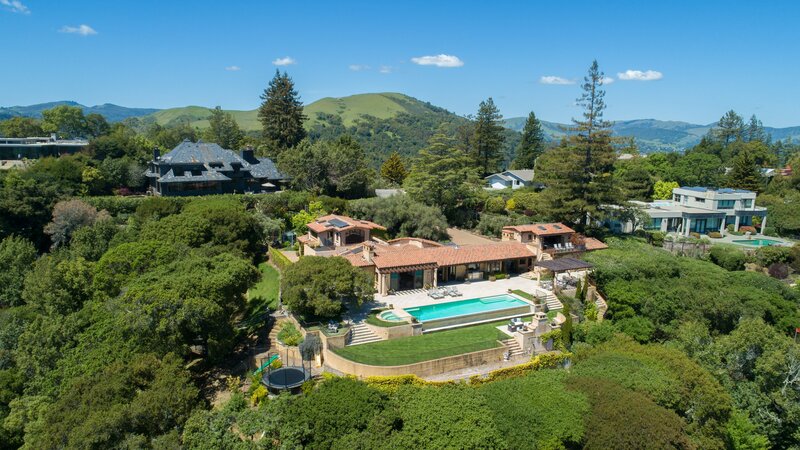 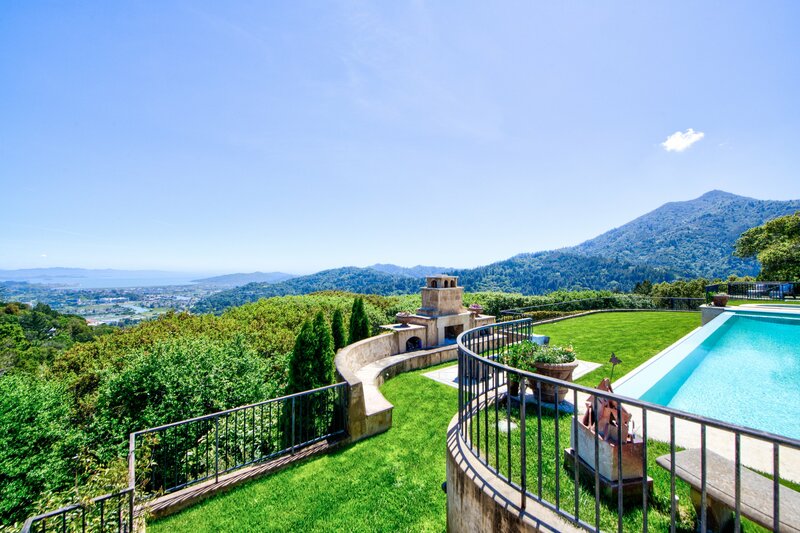 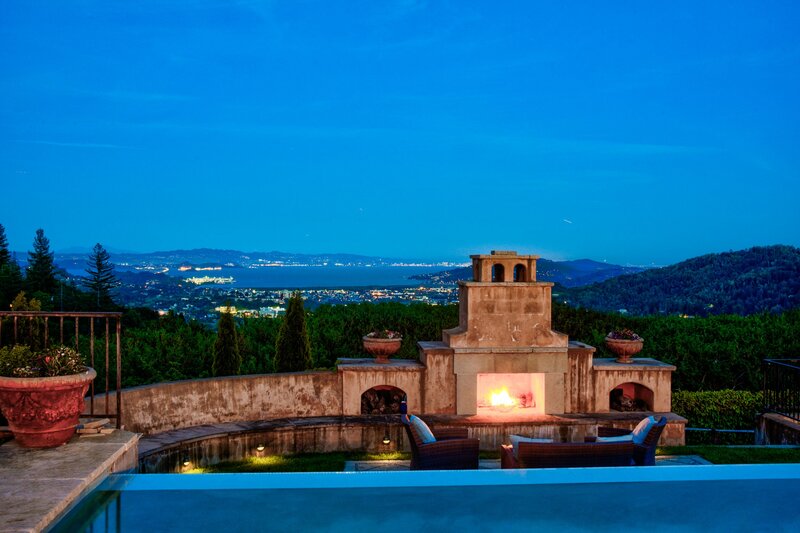 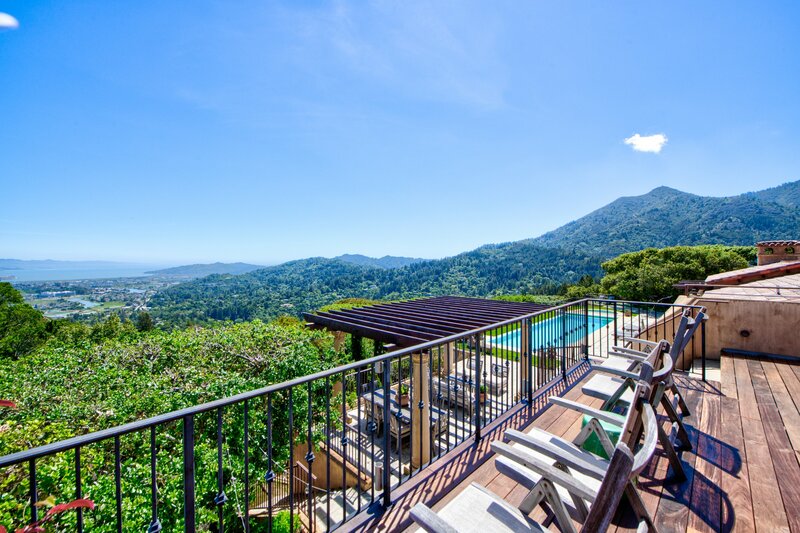 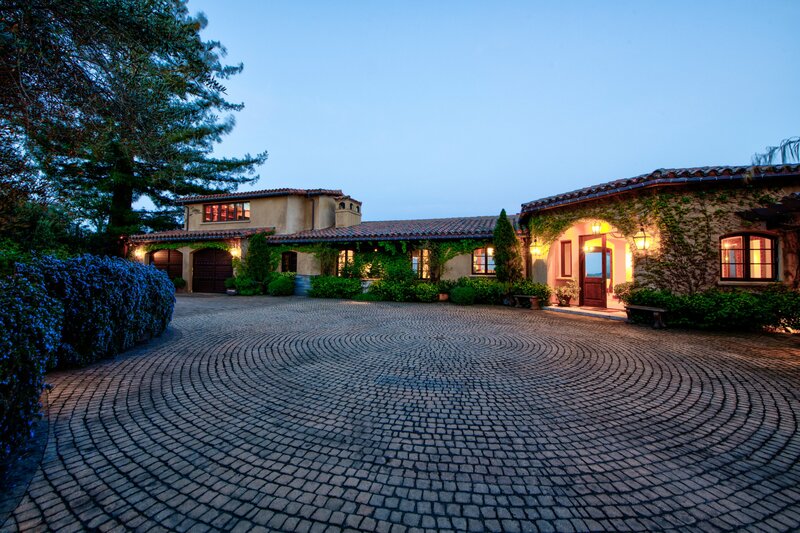 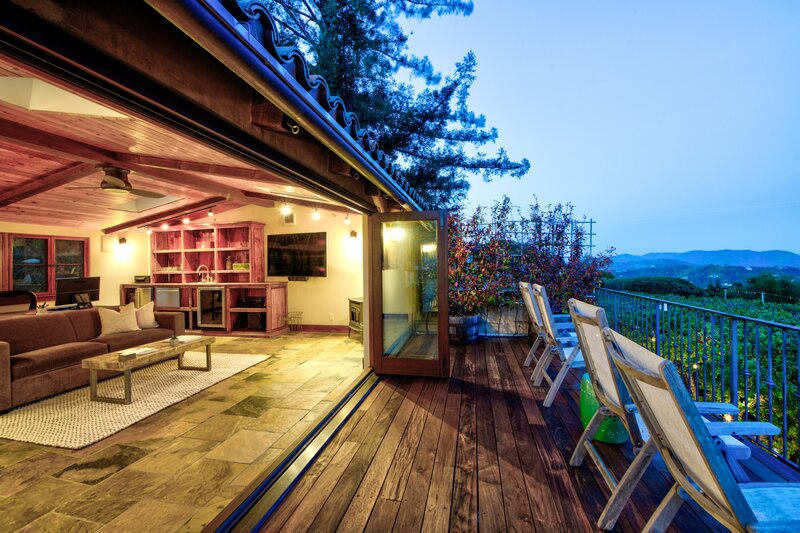 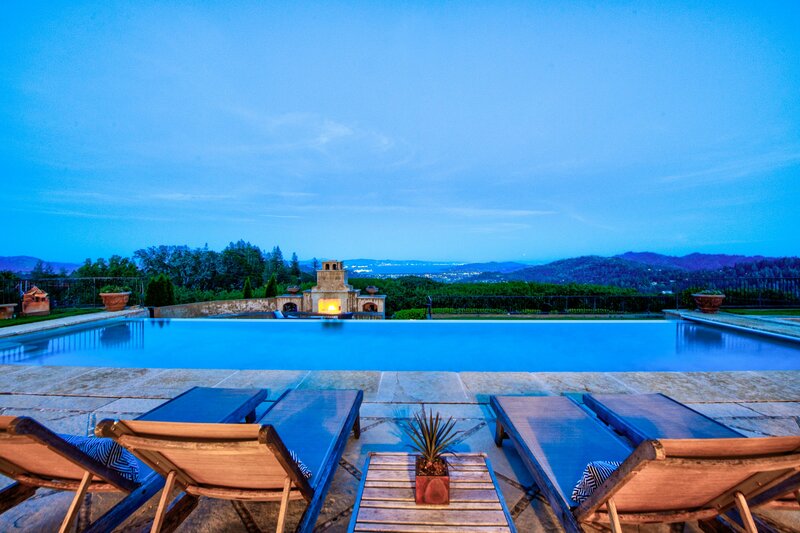 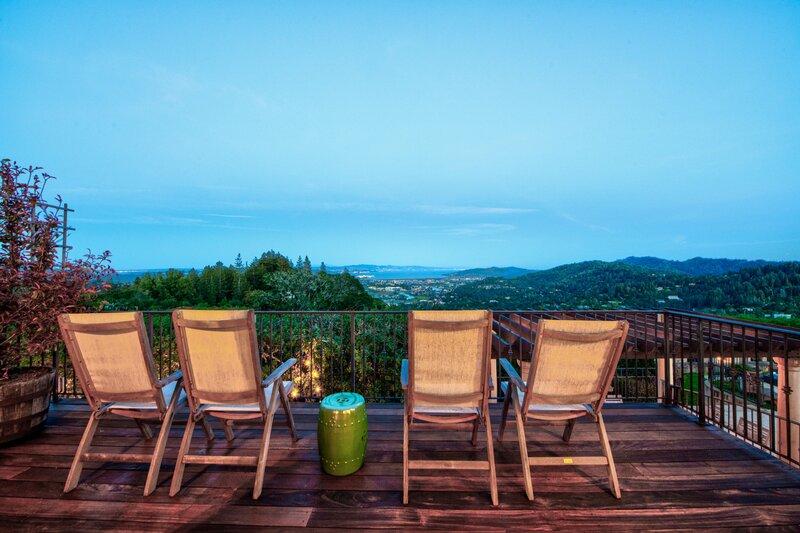 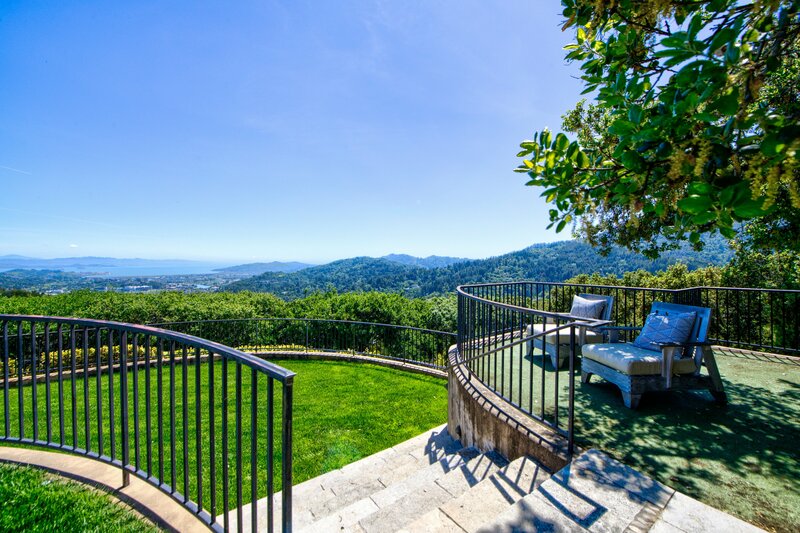 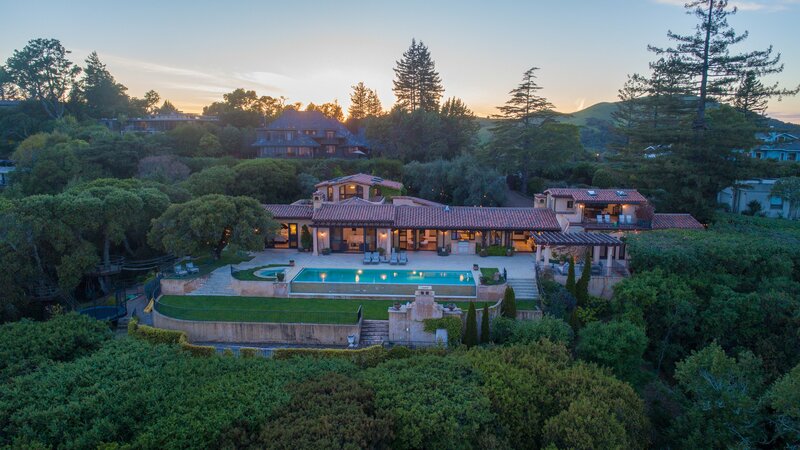 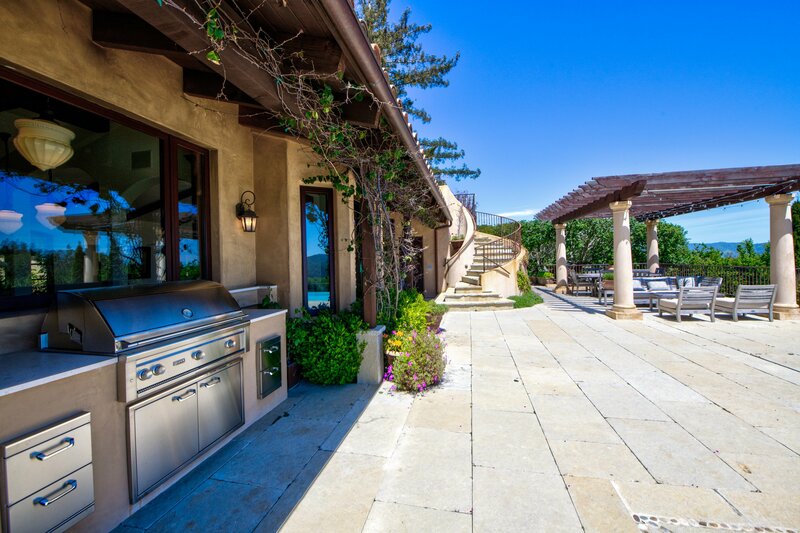 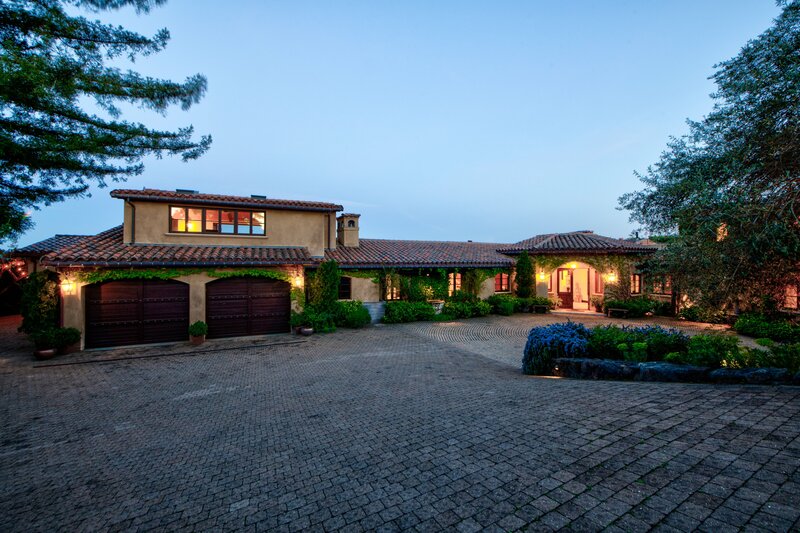 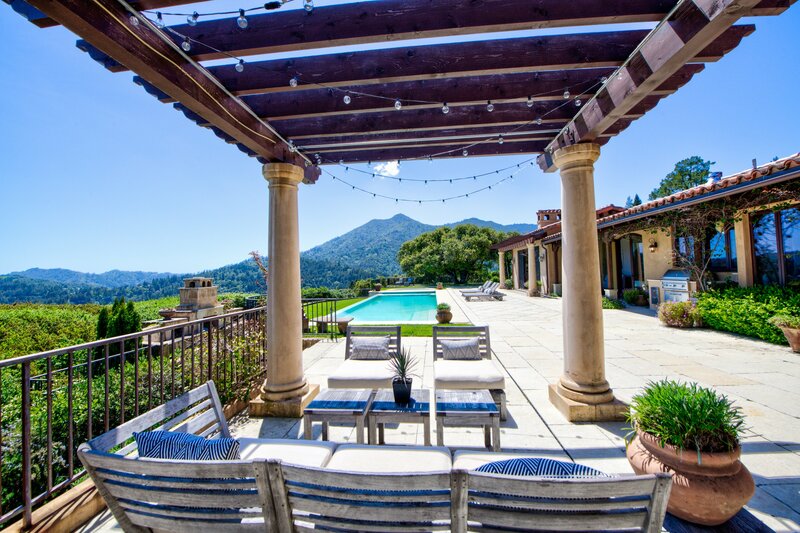 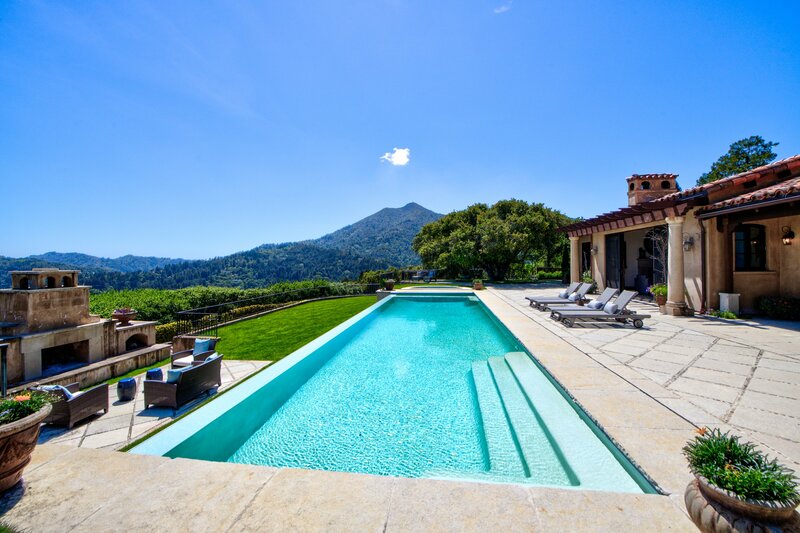 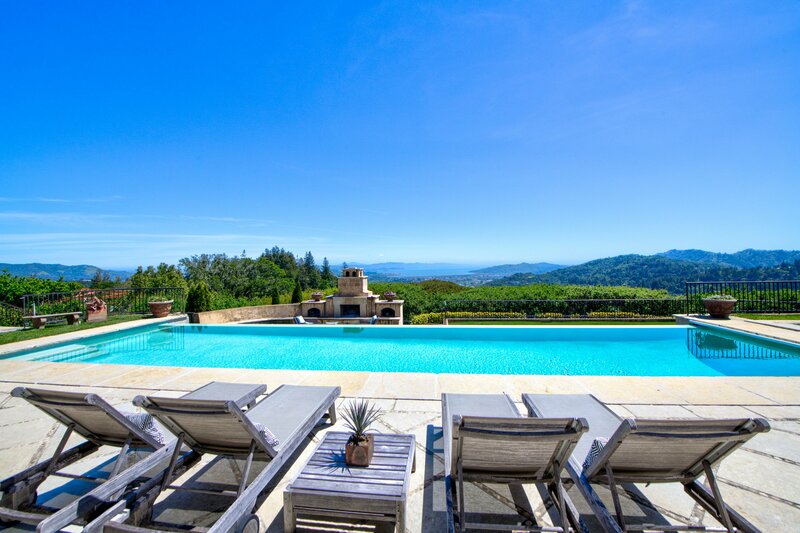 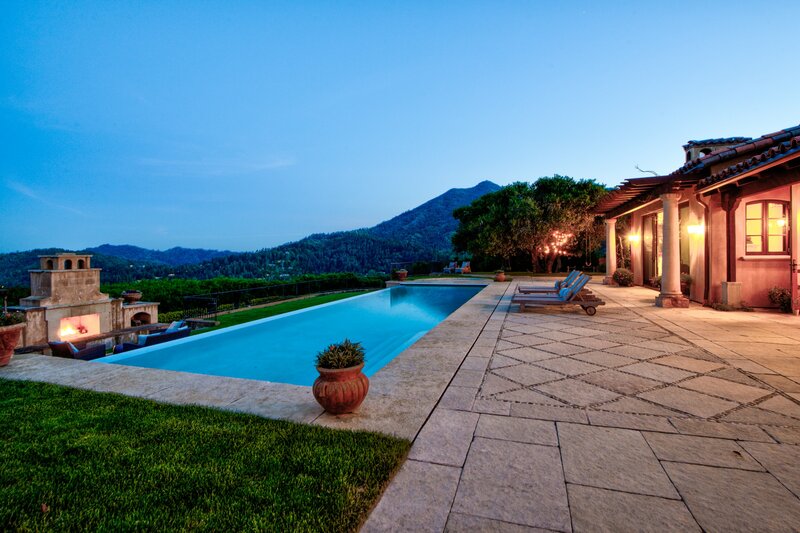 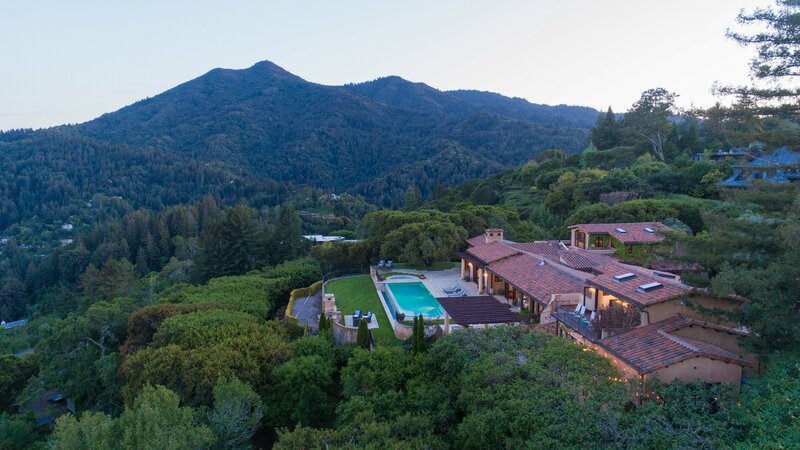 Located high atop the exclusive Kent Woodlands enclave, 665 Goodhill Road is a magnificent Tuscan-inspired villa that is situated to take advantage of supreme and uninterrupted Marin views. 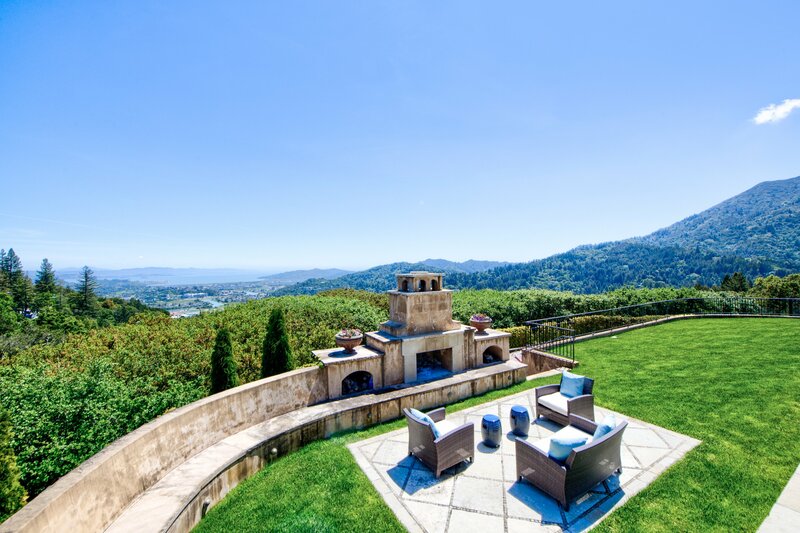 This unique residence perfectly combines awe-inspiring vistas, the enduring appeal of Mediterranean architecture and the treasured benefits of luxury, privacy and comfort. 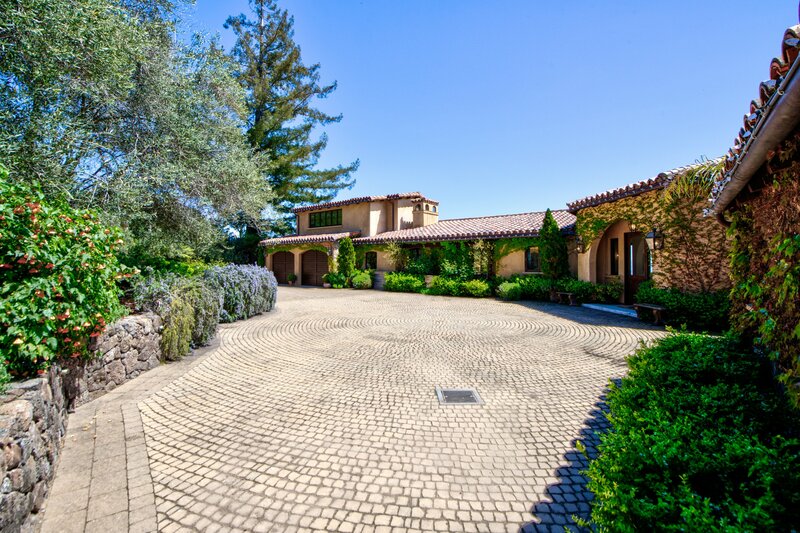 Approach the main entrance and be welcomed by an expansive cobble stone driveway, ivy-clad thick stucco walls, and terra cotta roof tiles that bestow a classic European patina. 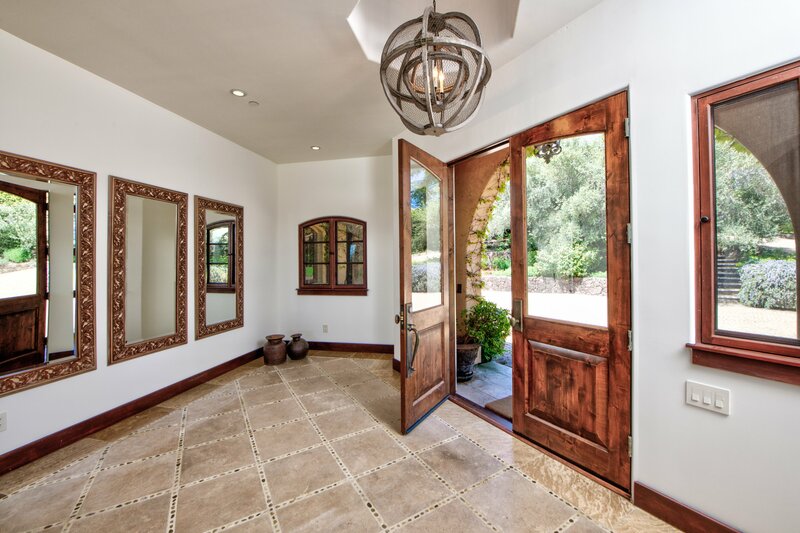 Once inside, the substantial walls with distinctive archways create dramatic hallways that lead to the striking public rooms. 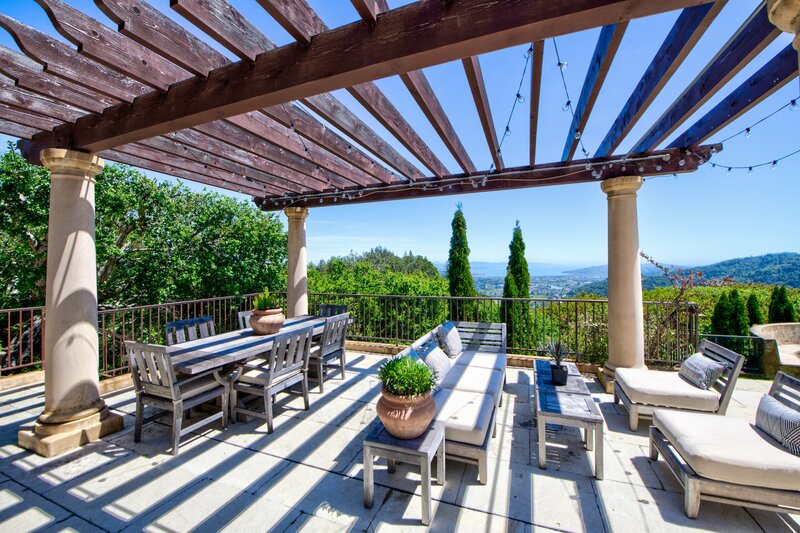 Generously scaled social spaces give way to the sprawling outdoor terracewhich beautifully presents this home’s captivating and memorable setting. 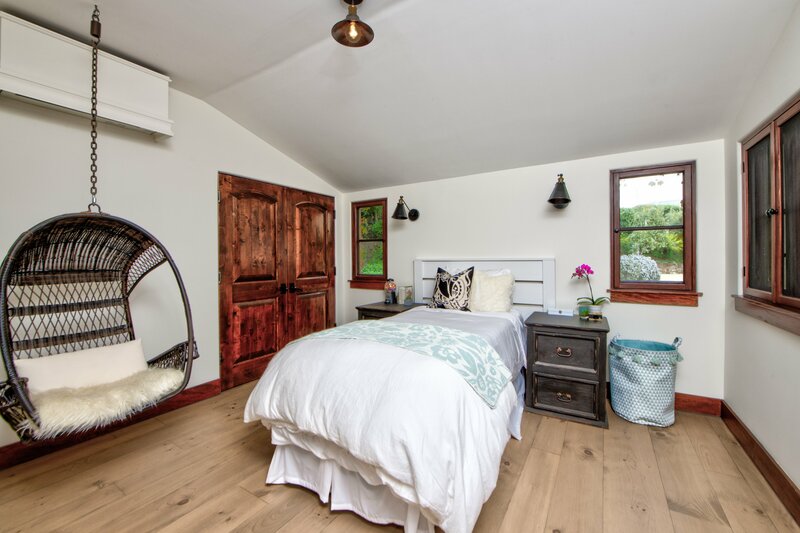 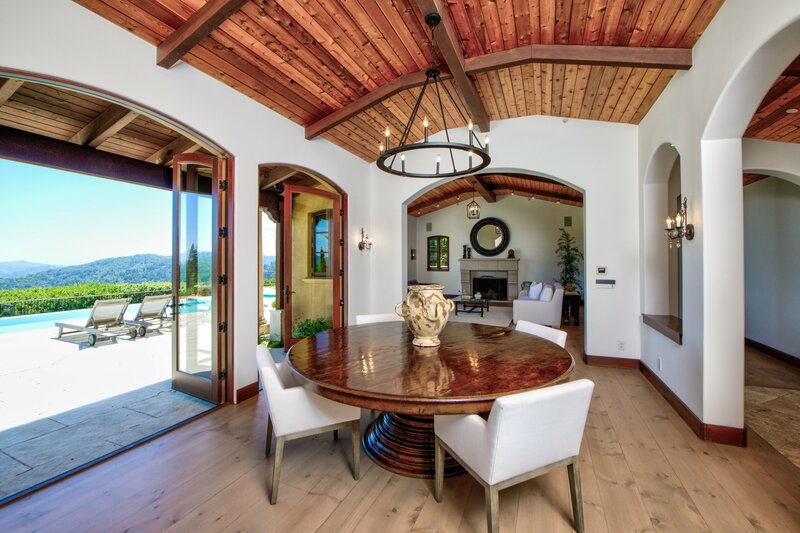 The interior is graced with richly toned wood finishes, exhibiting fine millwork throughout - from the substantial doors, window frames, baseboards to the bountiful cabinetry. 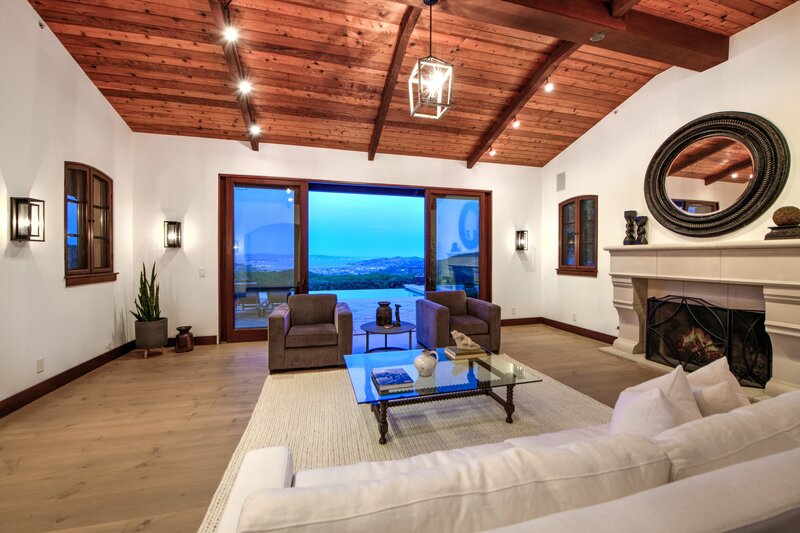 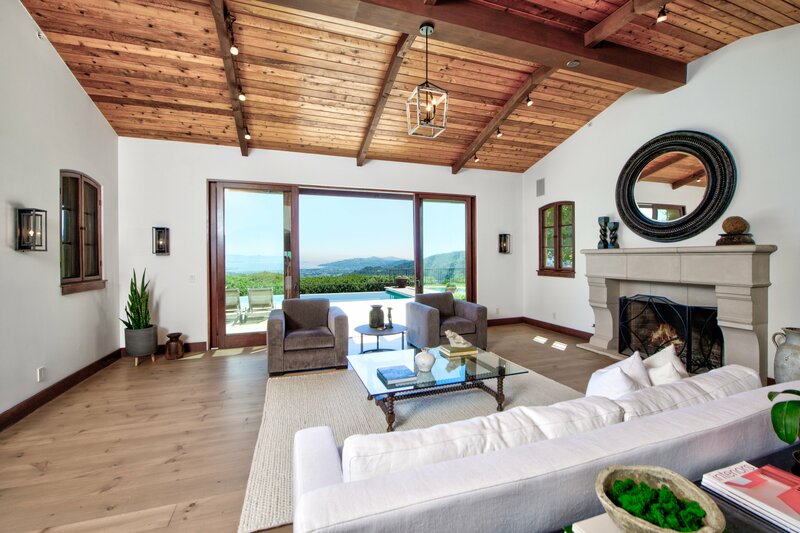 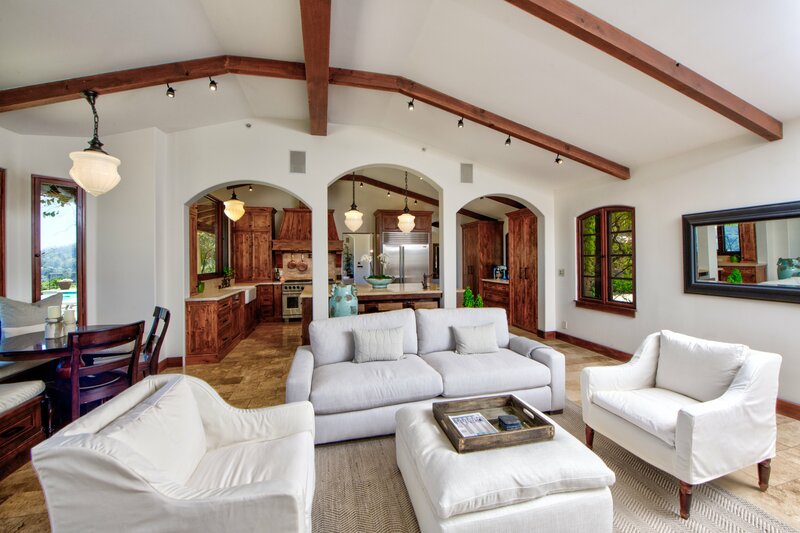 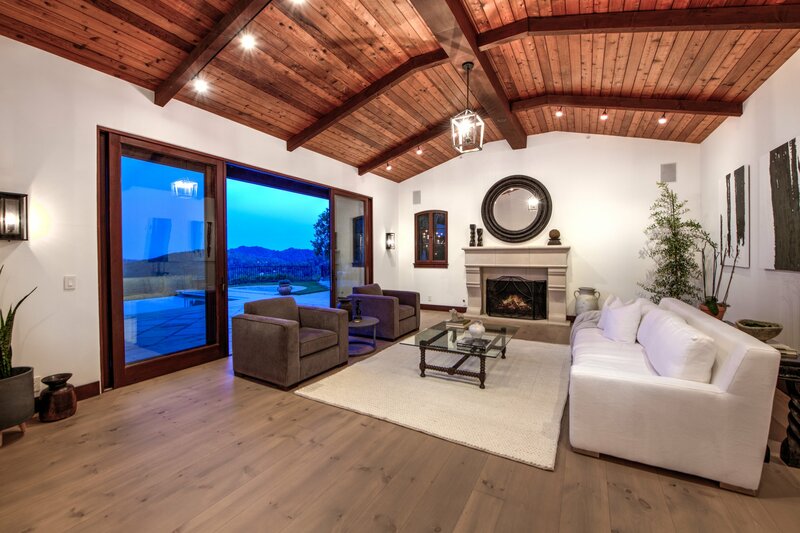 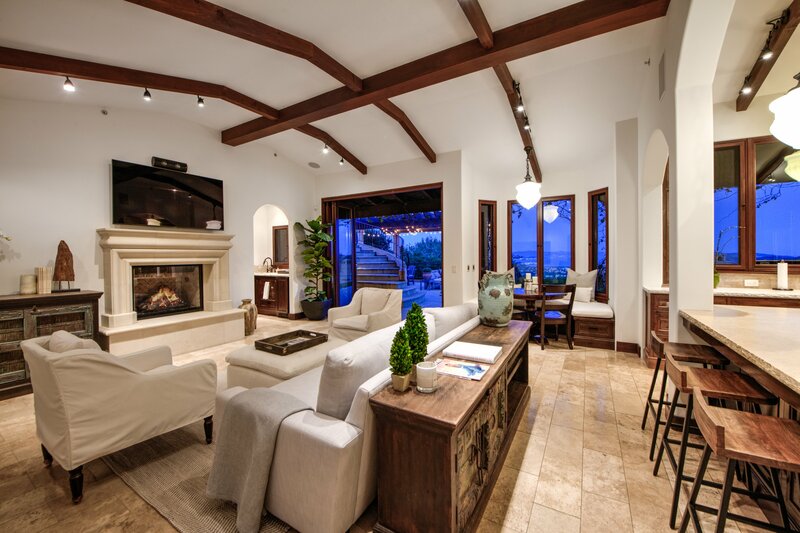 The living room, with a superb wood burning fireplace, boasts a cathedral wood ceiling accented with eye-catching beams and a wall of windows that bring in the extraordinary scenery beyond. 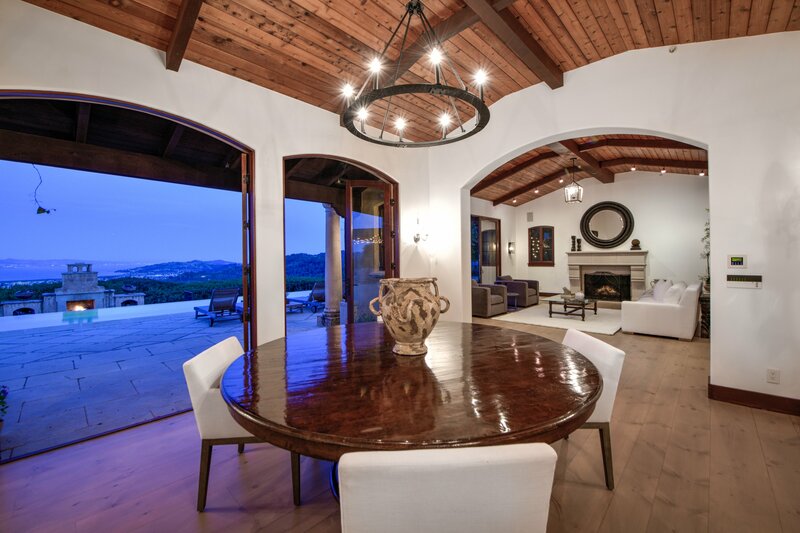 Enjoy the formality of the gracious dining room that directly opens out to the surrounding terrace. 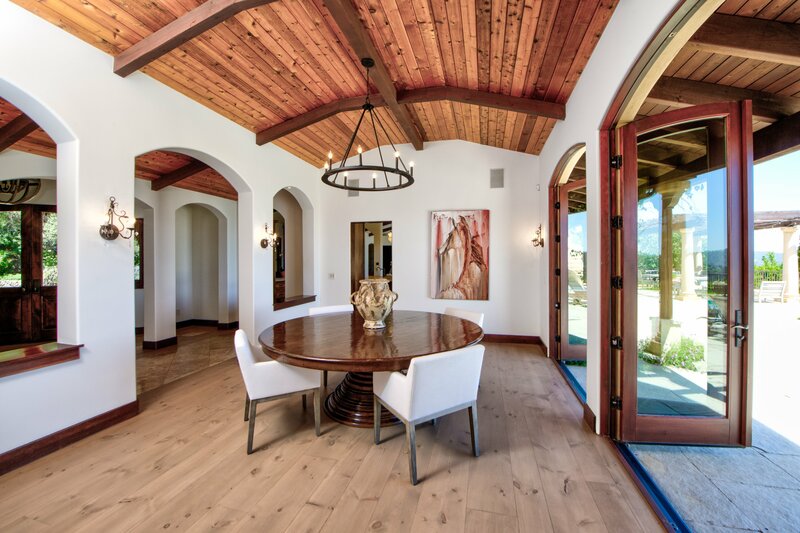 The great room opens seamlessly to the beckoning outdoors and to the well-appointed chef’s kitchen with a butler’s pantry that offers a temperature controlled wine room and additional wine refrigerators. 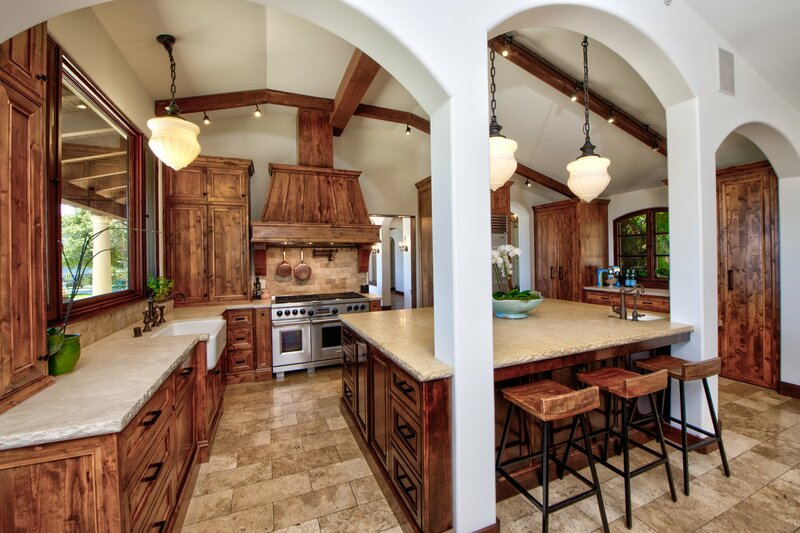 A sizable center island serves as a gathering place for casual dining and culinary creativity. 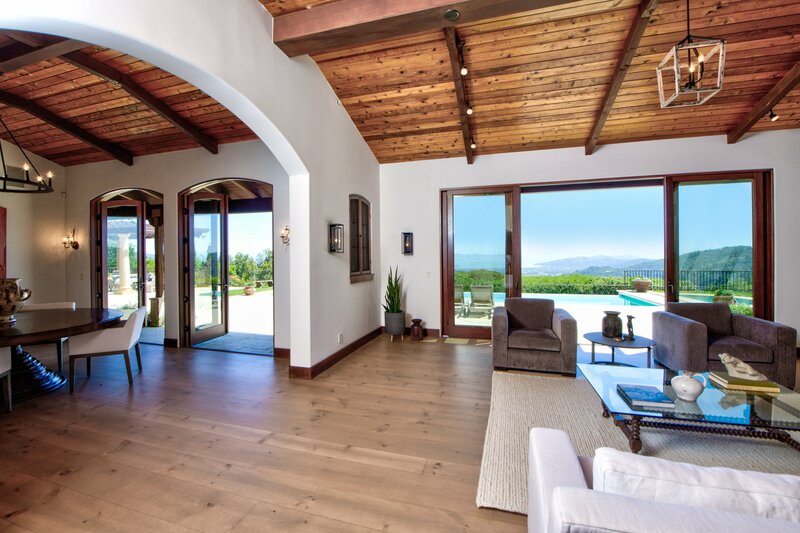 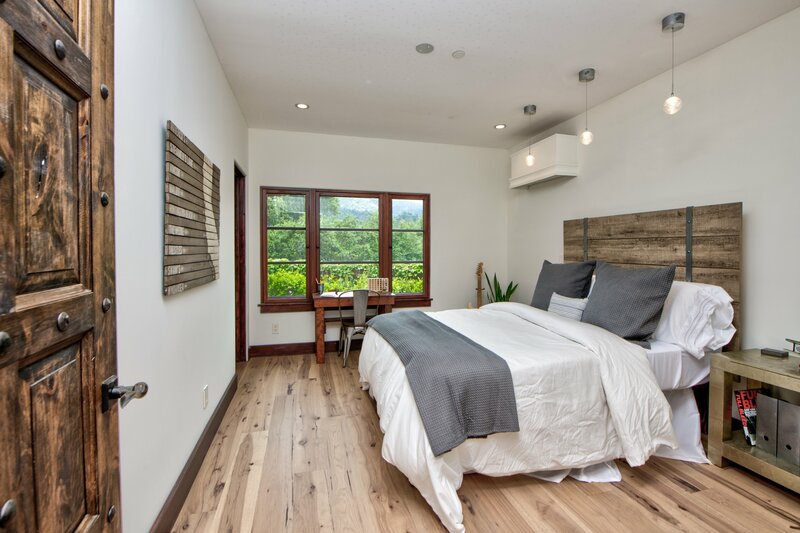 Positioned away from the main rooms, the master suite feels like its own private retreat with an appealing fireplace and outdoor spa, just steps away through the large sliding glass doors. 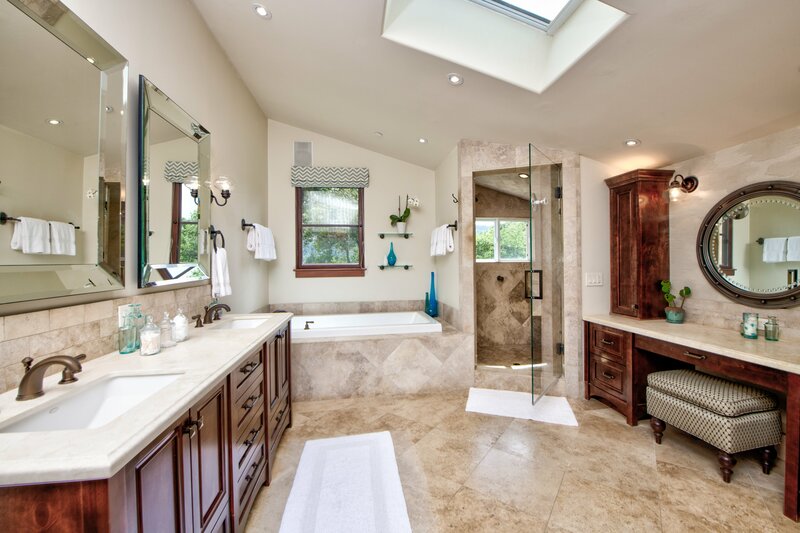 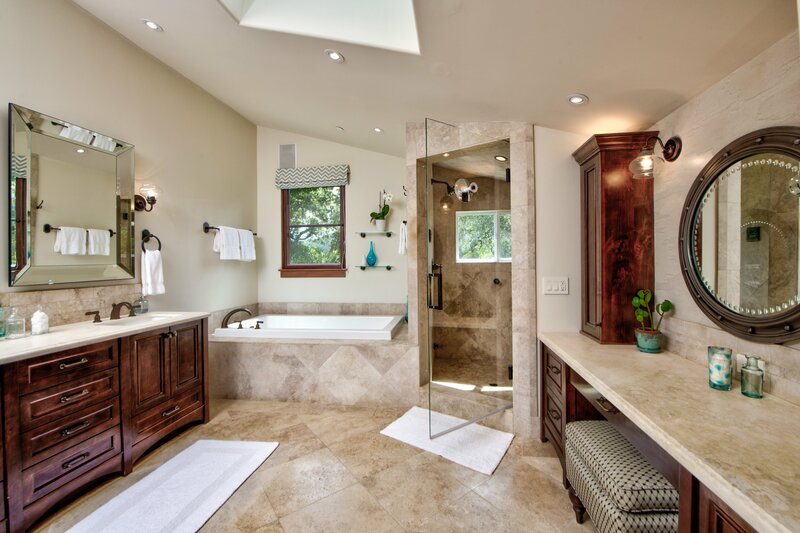 The considerable master bath features lovely stone work throughout, a soaking bath, walk-in shower, a dual sink vanity and second vanity with built-in cabinetry. 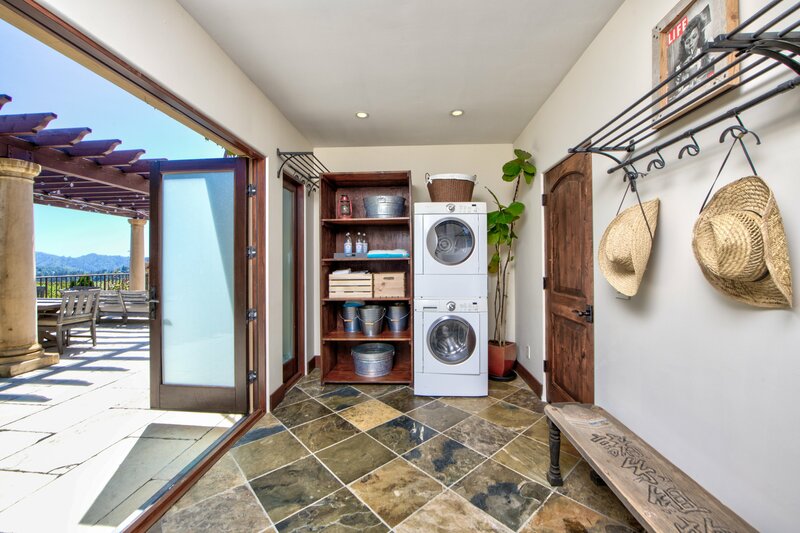 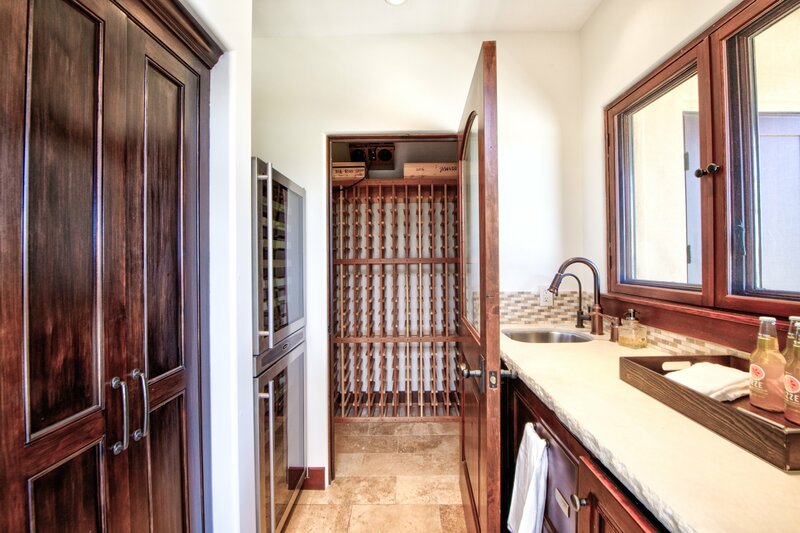 An immense master closet has room to satisfy any clothes and shoe lover. 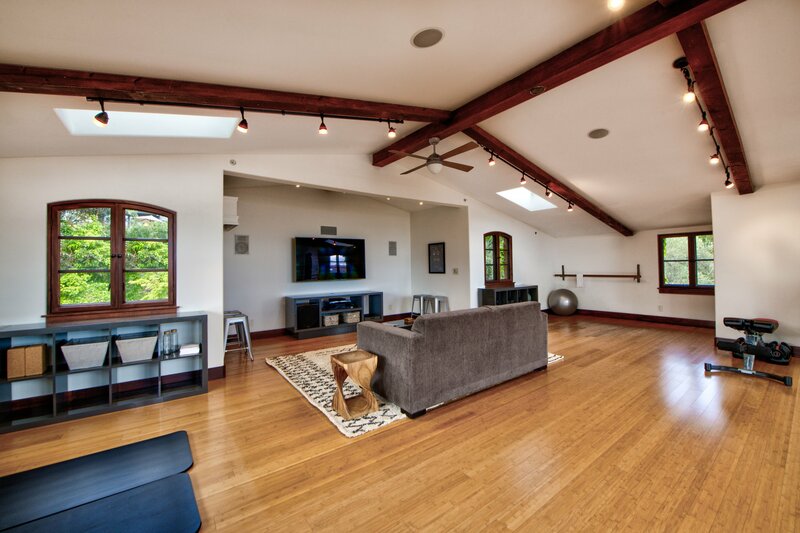 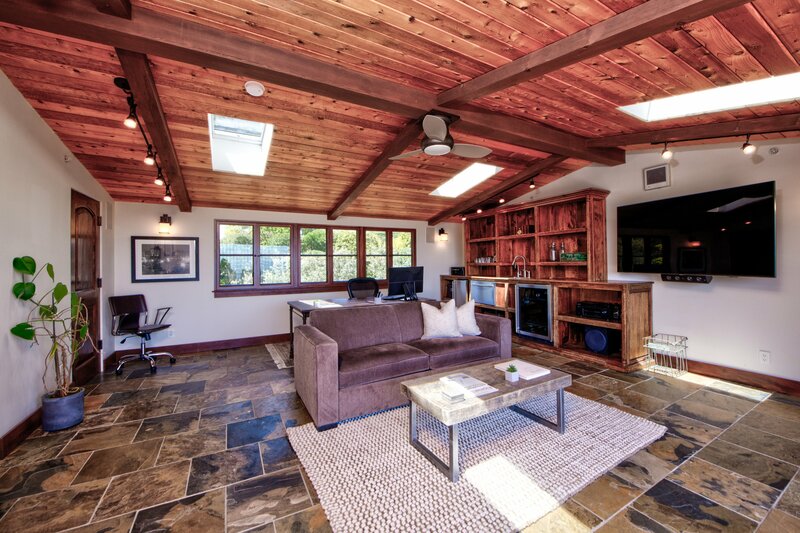 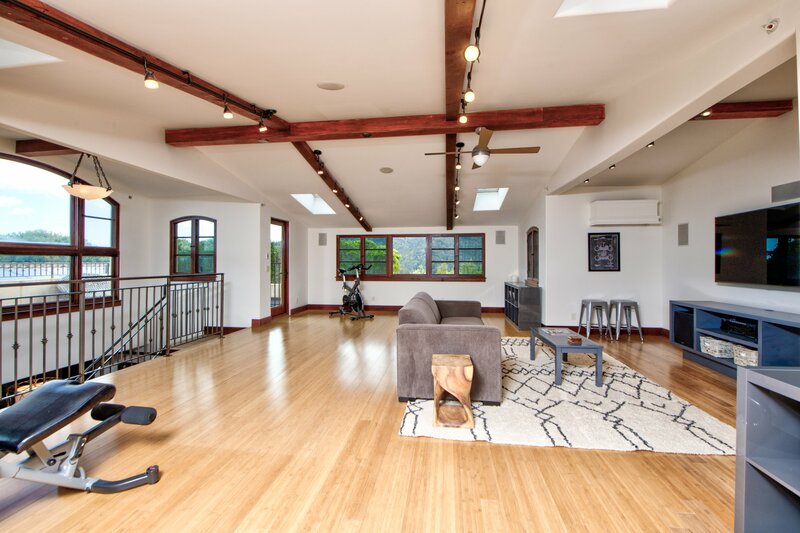 A massive family room on the upper floor has a cathedral ceiling with wood beams providing a perfect play or exercise room. 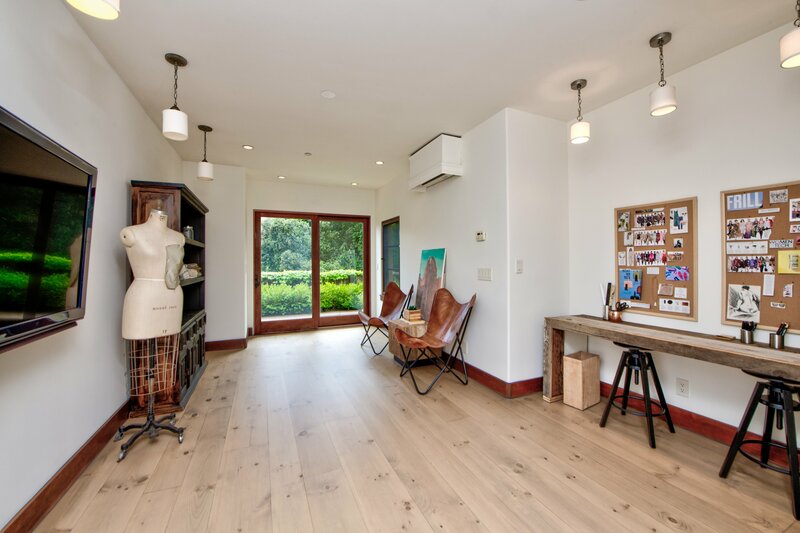 On the lower level, a smartly placed open concept office with a lengthy built-in desk and cabinets create an ideal work station. 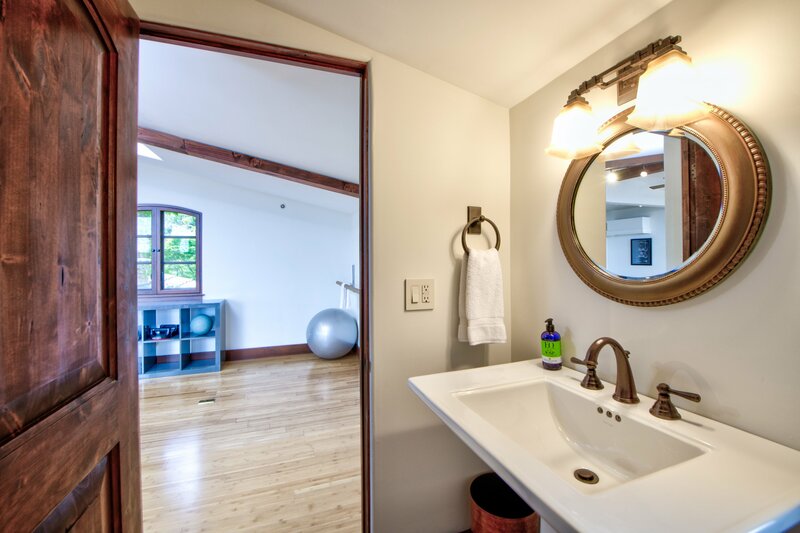 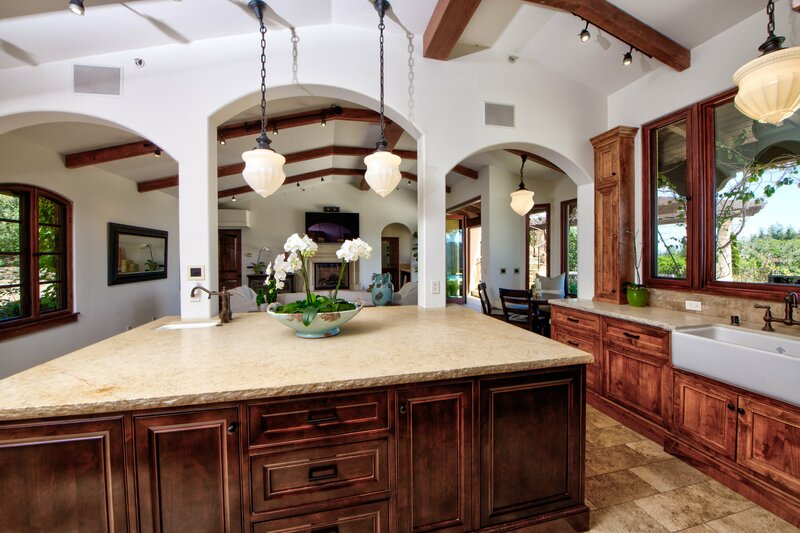 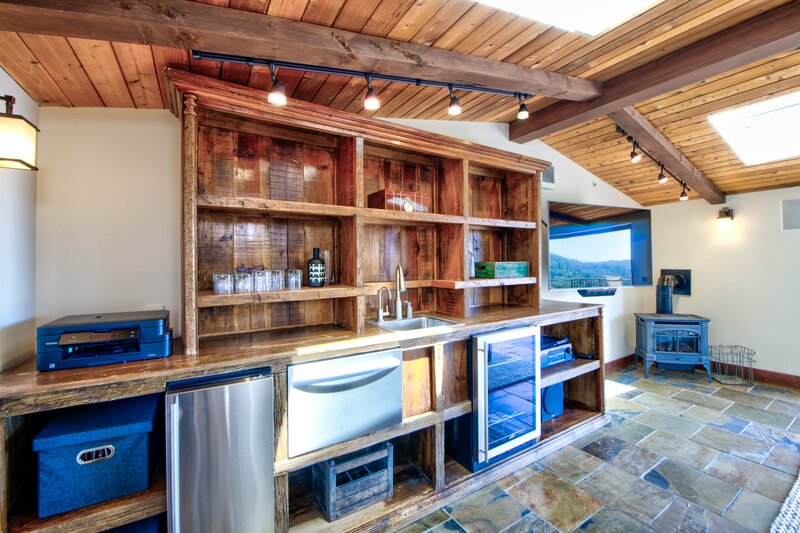 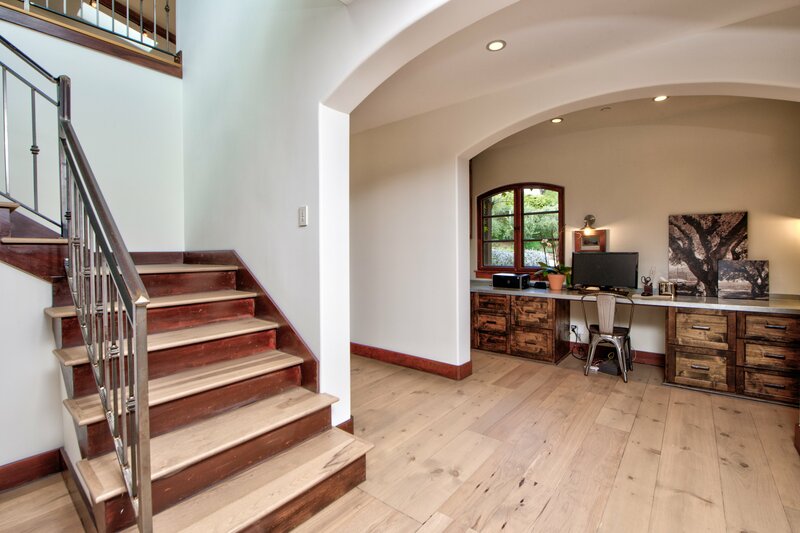 Across the hallway is another open area that can be utilized in a variety of ways to suit your own lifestyle needs. 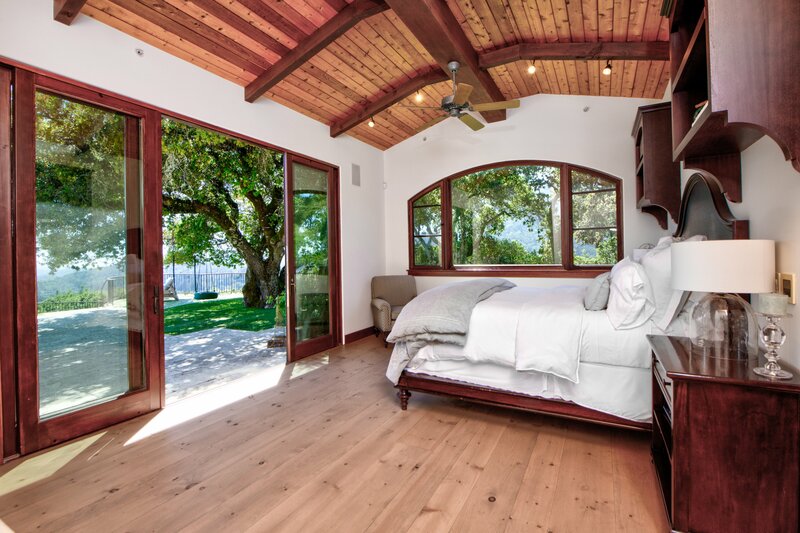 Additional guest bedrooms are distinguished by their abundant space and unique layouts. 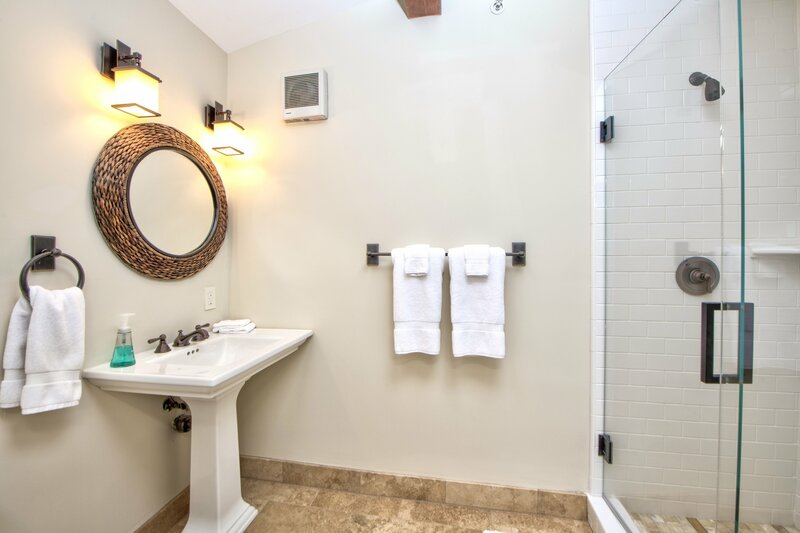 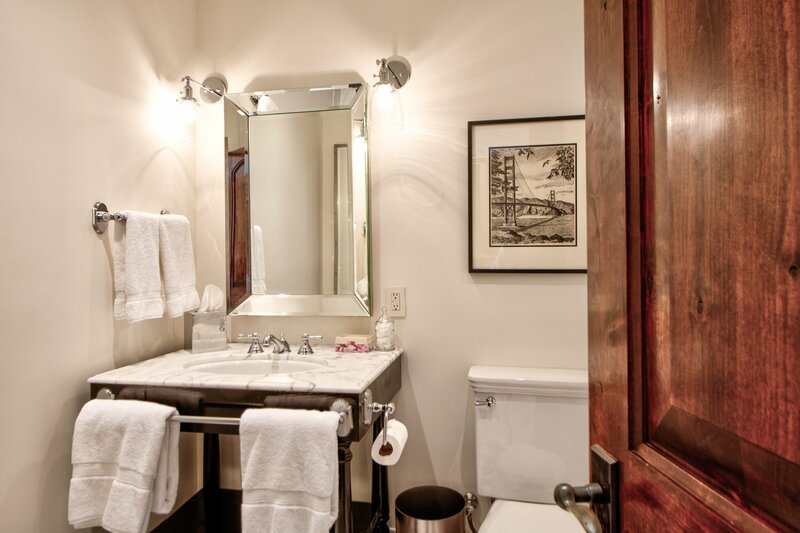 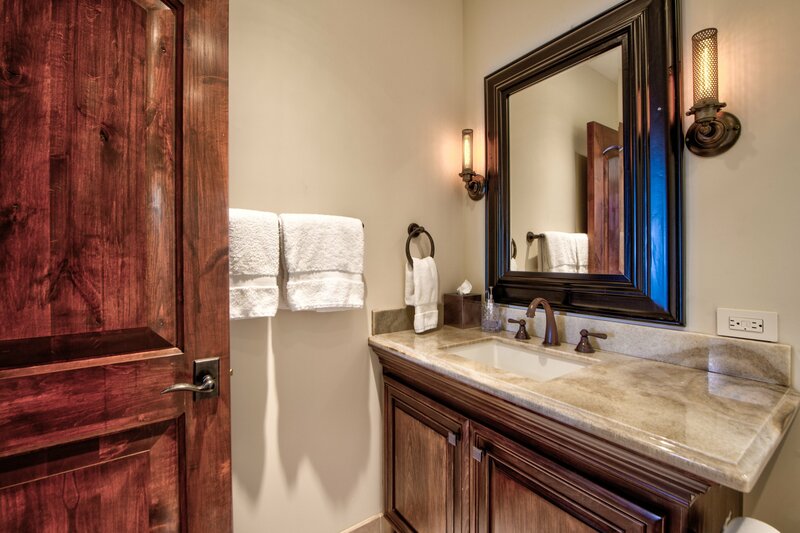 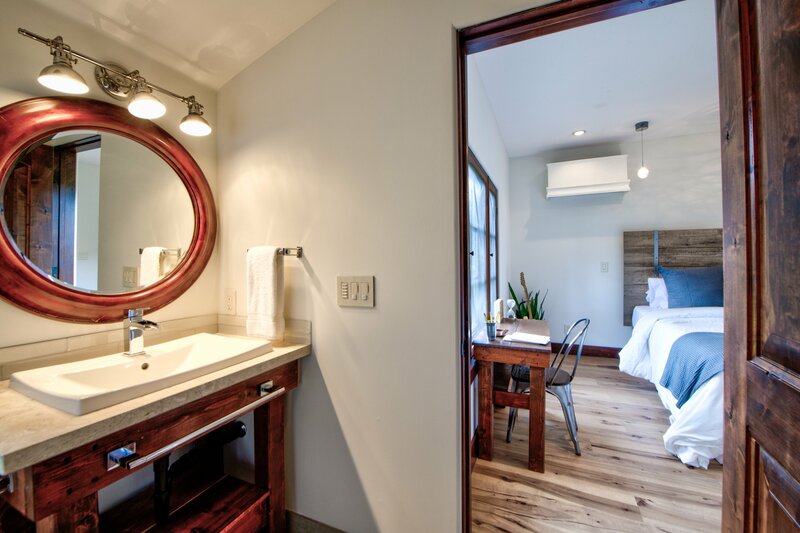 Guest bathrooms are adorned with fine marble and granite, accessorized with fixtures that exude a rustic refinement. 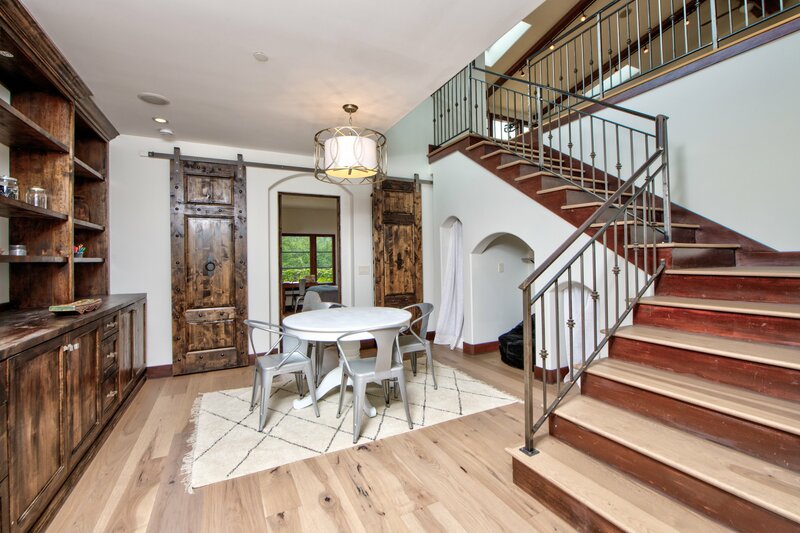 A guest suite with a separate circular stair access sits atop the residence and has its own private deck to take in the dazzling outlooks. 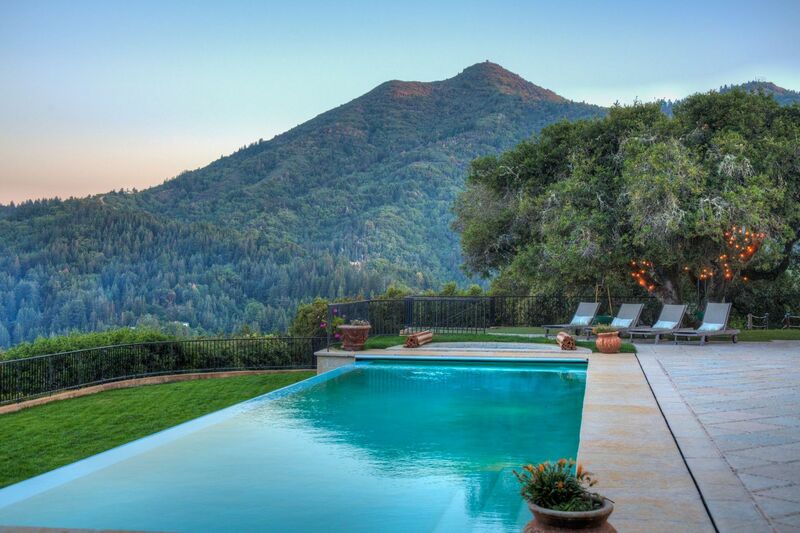 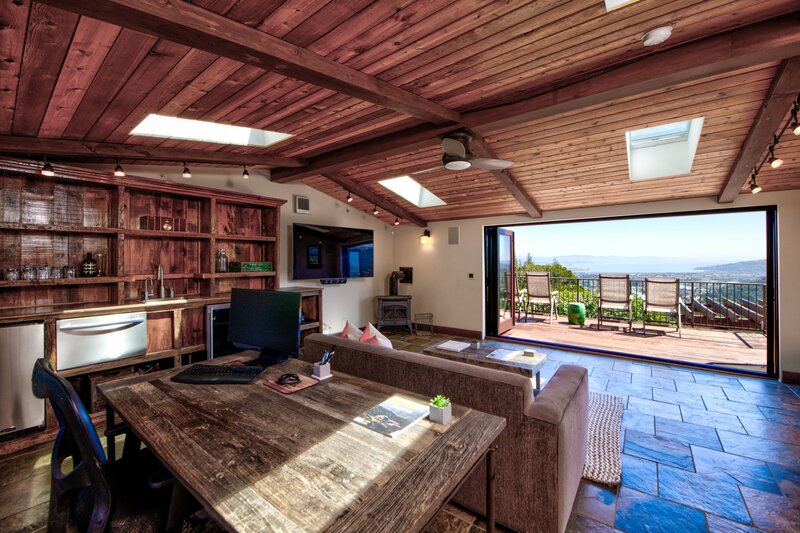 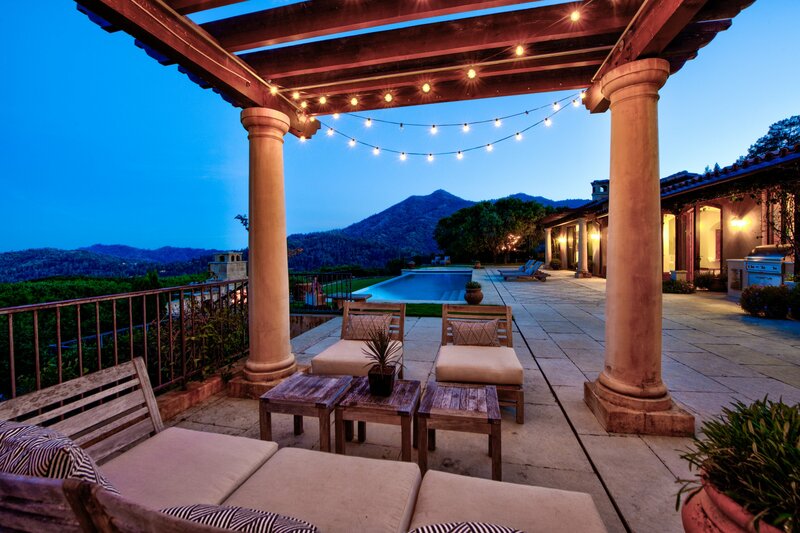 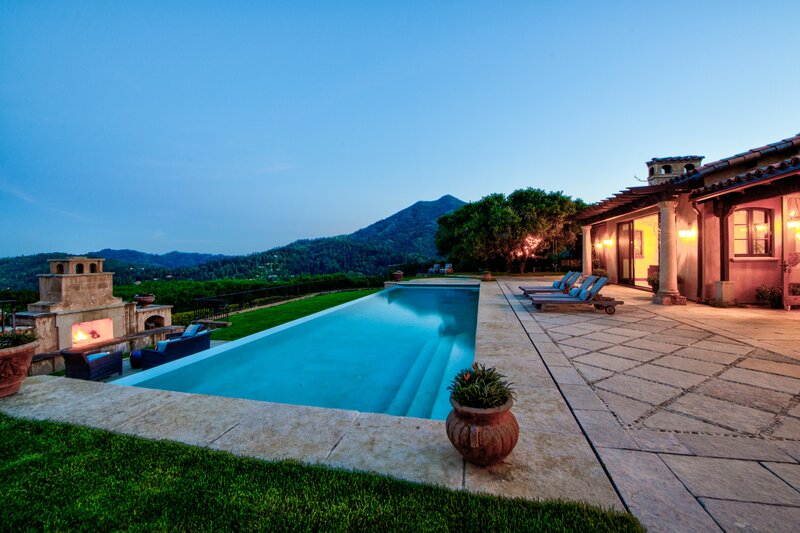 The exceptional backyard takes center stage, showcasing the remarkable scenery of iconic Mt. 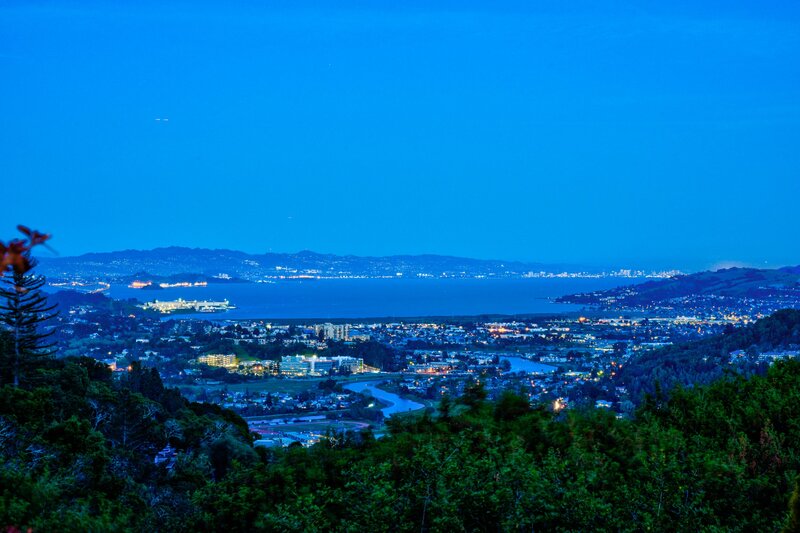 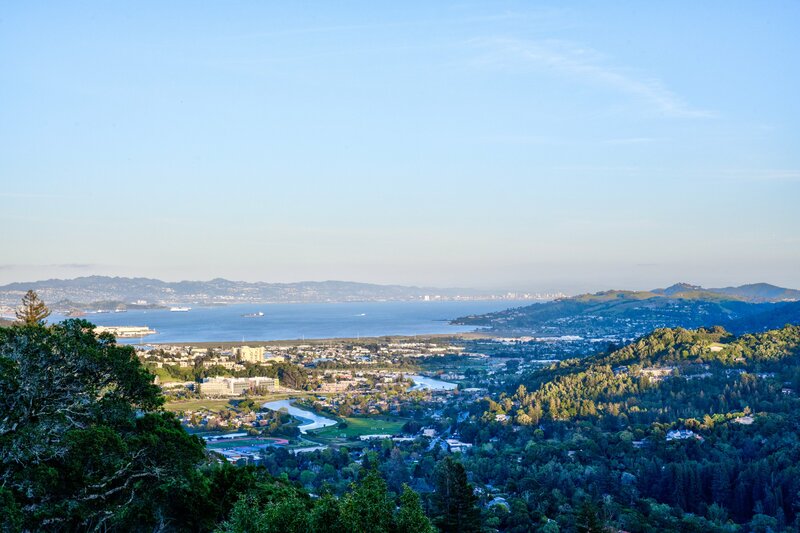 Tamalpais, the Bay and Mt. 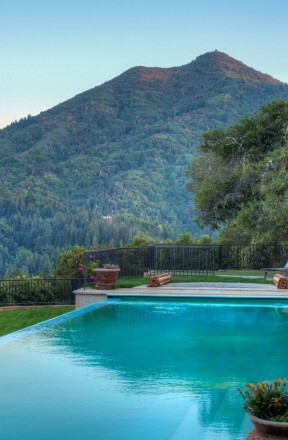 Diablo with bursts of gorgeous natural landscape in between. 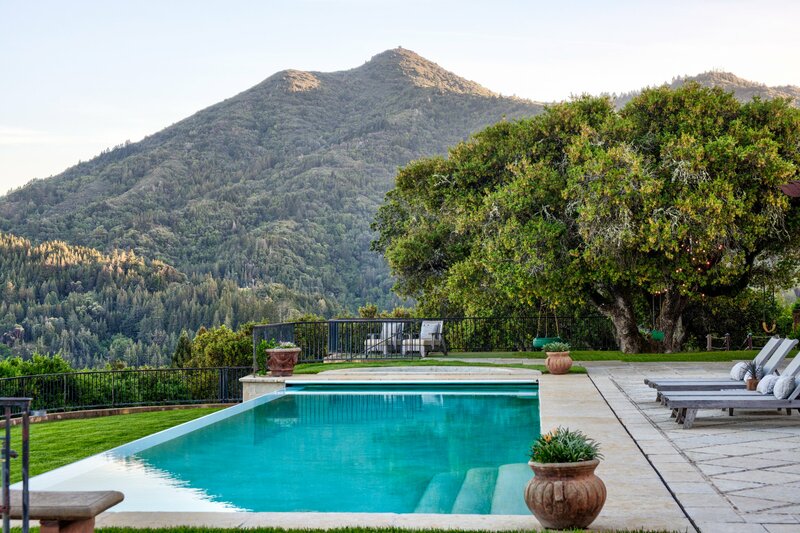 An enticing crystal clear infinity pool punctuates the expansive stone terrace which also features an outdoor dining pergola, built-in grill, and custom iron railings. 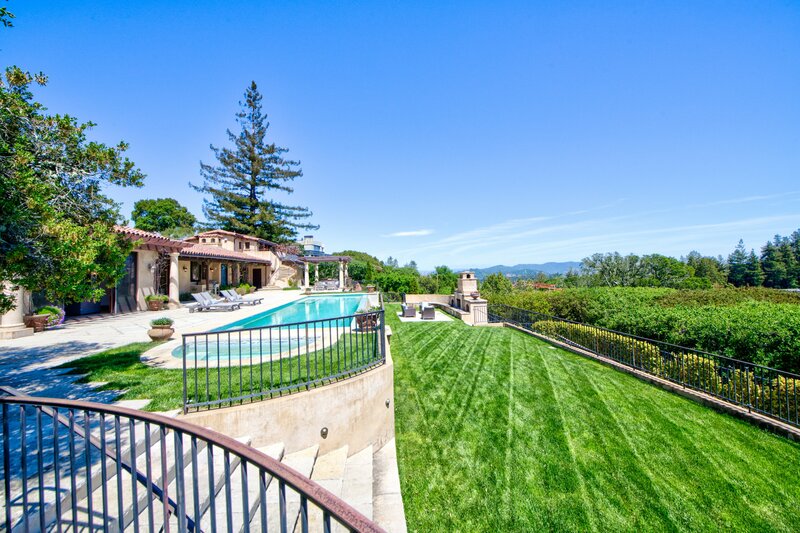 Multiple level lawn areas provide numerous space for outside activities. 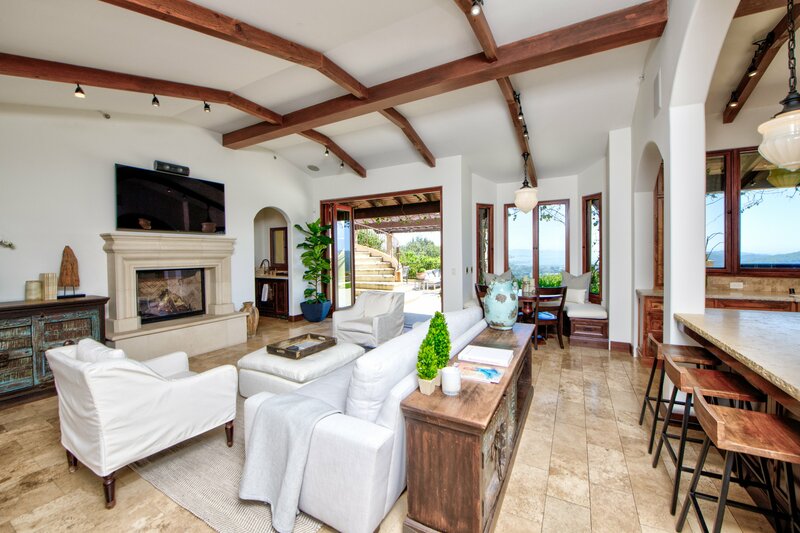 The artful placement of the outdoor fireplace, and adjacent built-in seating area, compose an inviting backdrop that anchors the back yard and frames the viewing experience beyond. 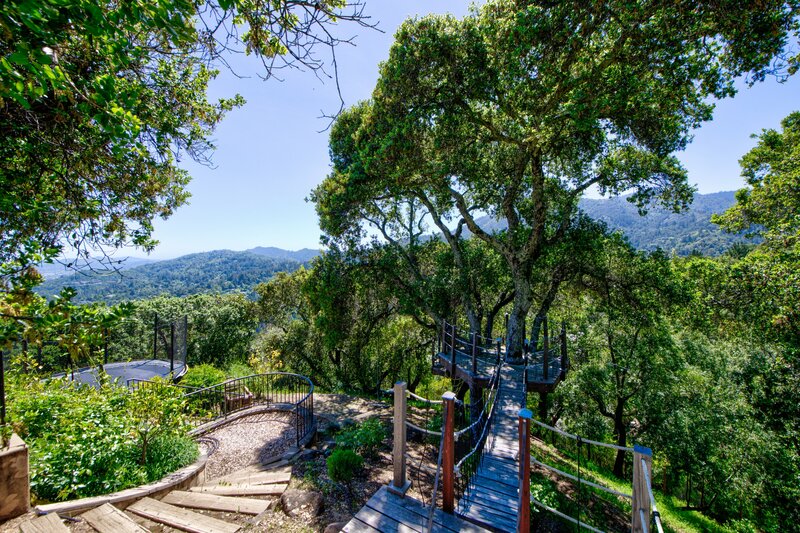 A charming suspended rope bridge links the house to nearby oak trees and adds a playful element to the already incredible back yard. 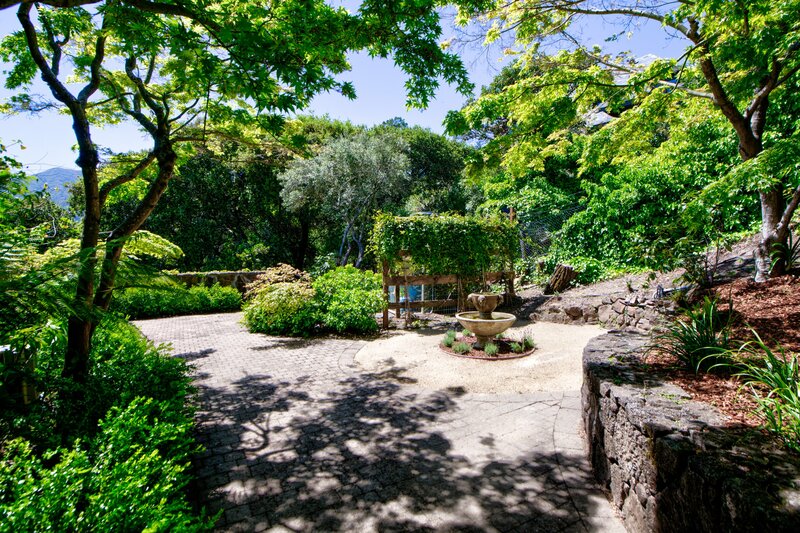 A hidden exterior patio alcove with a fanciful fountain, enveloped by stone retaining walls and mature plantings, offers an alternate outdoor experience. 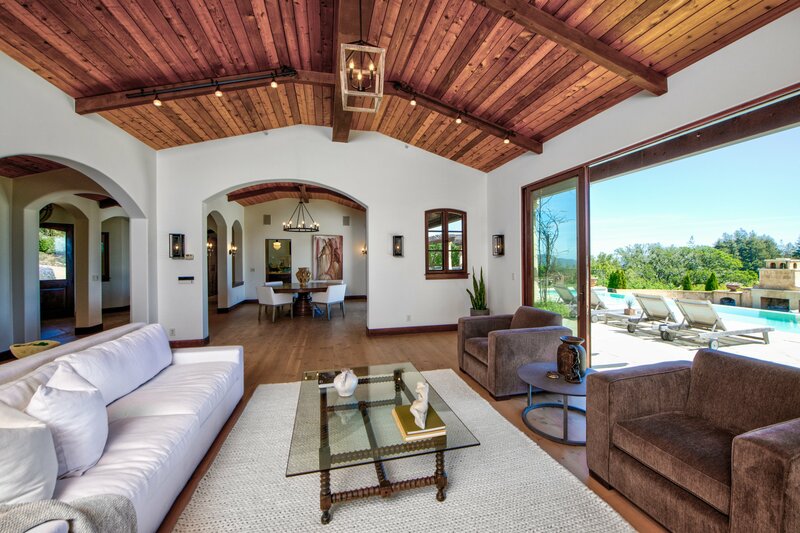 Resplendent with rich European architectural style and details, this residence offers flawless functionality set amidst an unsurpassed serene, sylvan setting. 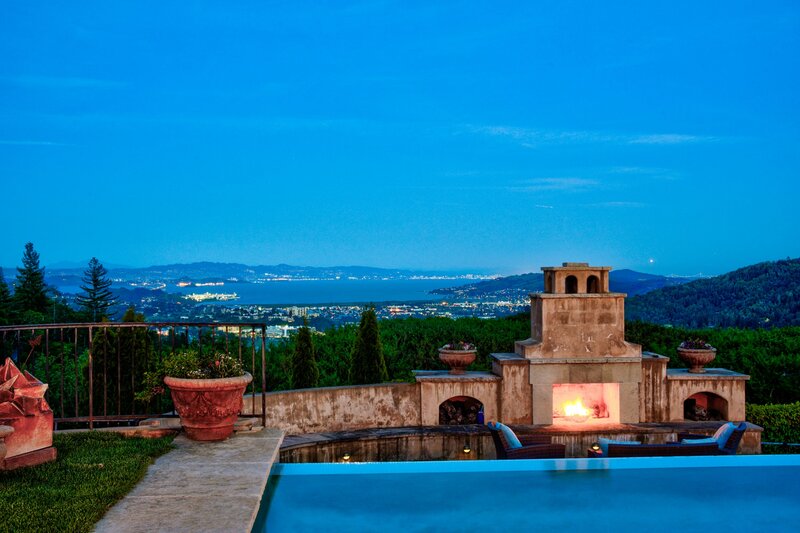 Satisfying those with the most discerning taste, this exceptional property guarantees a unique and exclusive living experience.